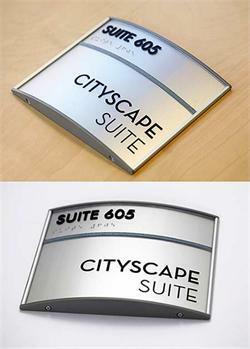 Curved Lobby and Entry Signs. 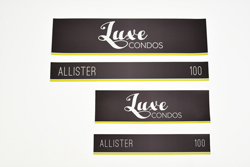 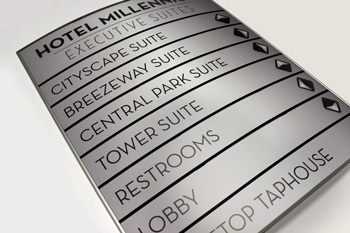 Custom tenant directory signs and office or building wayfinding signs. Modular sign frames featuring anodized aluminum frames and high impact plastic end caps. 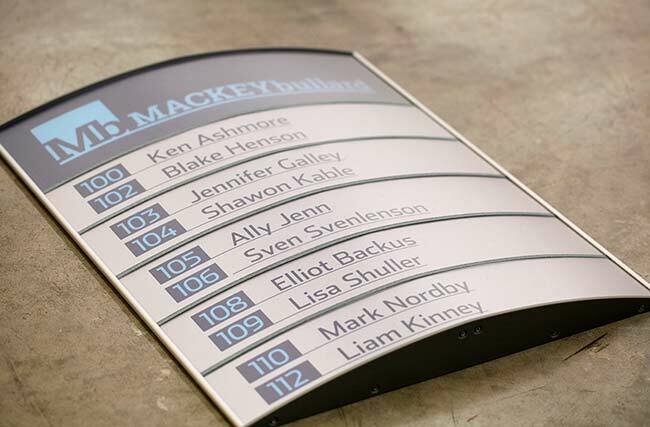 These curved-face office sign frames are available in satin black powder coated frames or the popular satin silver anodized aluminum. 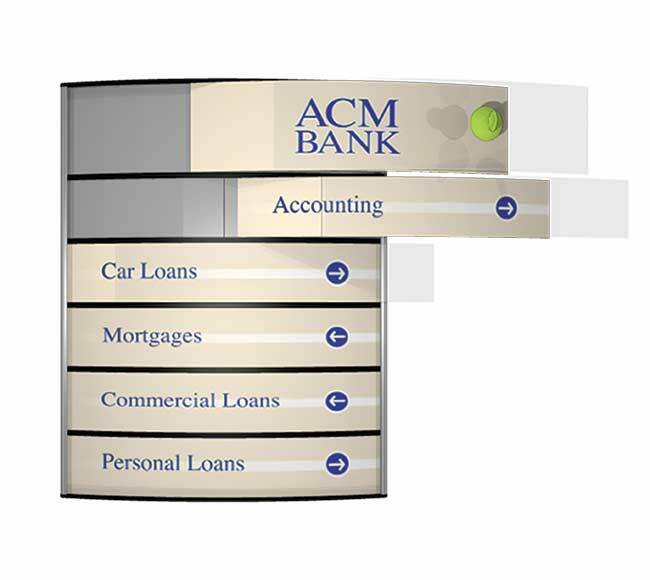 The end caps and insert dividers are available in black or grey plastic. 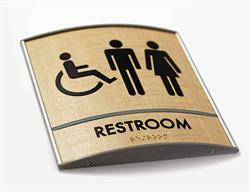 Each sign directory insert has its own clear, non-glare lens making insert replacement convenient. 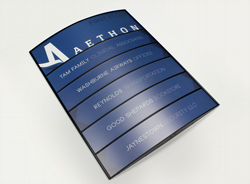 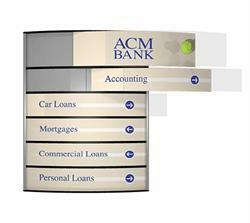 The curved directory sign frame features a curve from left to right. Tenant directories and building directory signs are available in standard 11", 17" or 24" widths. 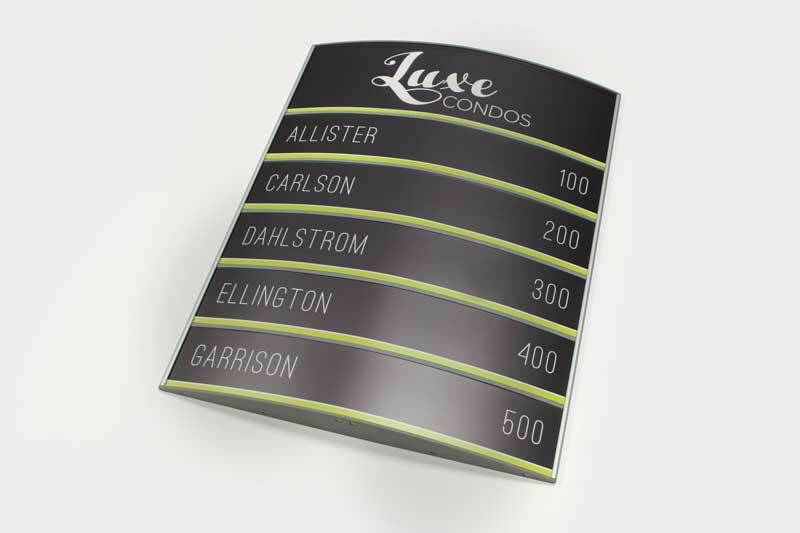 Custom frame combinations and lengths available by request. Curved sign frames are a stylish and easy addition to any building project, new construction or businesses needing a tenant directory or simply a stylish way to display a company directory or curved office sign. 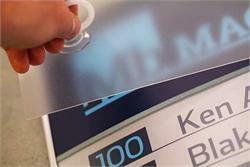 Inserts protected by removable clear lenses. 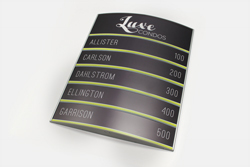 Available with or without custom directory inserts. 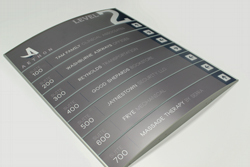 Please call for numerous size variations and custom insert design proofs.